Cabbage is a nutritious vegetable that has many applications and goes well with everything from pork and beef to lamb, chicken, and other poultry. Cabbage is readily available year-round in the supermarket. It is inexpensive and keeps well, so it's a good choice when on a budget. You don't have to buy a colossal head of cabbage if you don't think you can use it. Some supermarkets offer wedges or half-heads, and you'll find packaged shredded cabbage or slaw mix in most markets. Here are some excellent ways to use cabbage as a side dish, including braised cabbage, red cabbage, slow-cooker cabbage, cabbage salads, and more easy-to-prepare dishes. 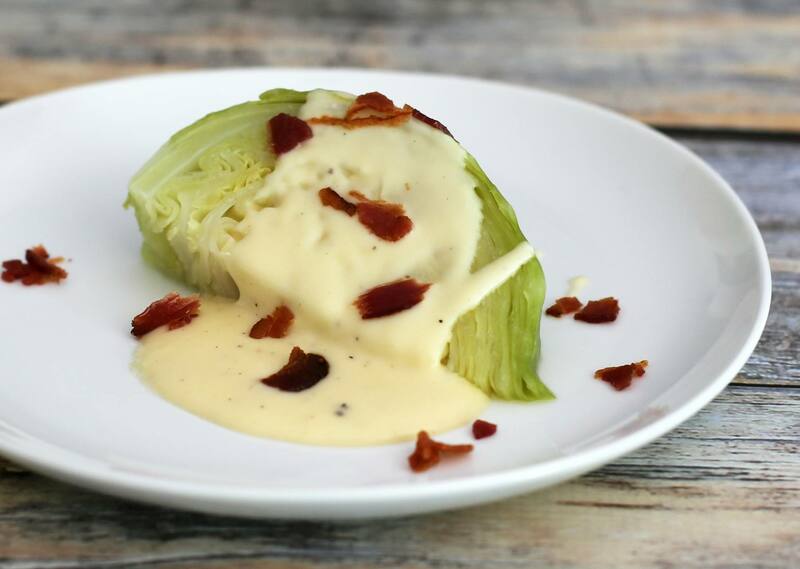 These cooked cabbage wedges are gussied-up with a delicious cheese sauce and crumbled bacon. This cabbage is special enough to earn a place on your holiday menu, and it's easy enough to prepare for an everyday meal. Consider serving this cabbage—with or without the bacon—alongside hearty sausages, chops, or baked ham. This tantalizing cabbage and leek dish goes with just about any main dish. Serve the cabbage and leeks with a pork roast or chops, beef, corned beef, or poultry. The cabbage and leeks are sautéed and then simmered with a small amount of chicken stock, butter, and seasonings. A parsley, garlic, cheese, and walnut pesto adds color and flavor to this sliced roasted cabbage. This is an excellent choice that will nicely complement grilled steaks or chops. This crunchy chopped cabbage salad features bacon, green onions, and a full-flavored mayonnaise and apple cider dressing. If you're looking for an alternative to the typical coleslaw, this salad is a superb choice. Bubble and squeak is a British dish traditionally made with cooked vegetables from Sunday dinner. Leftover mashed potatoes and cabbage are classic ingredients, along with carrots, rutabagas, or Brussels sprouts. This simple combination of cabbage and bacon is a snap to prepare and cook. Some chicken broth or water, cabbage, onion, and bacon come together in this easy dish. This boiled cabbage couldn't be easier, and there are so many possible variations for flavor. 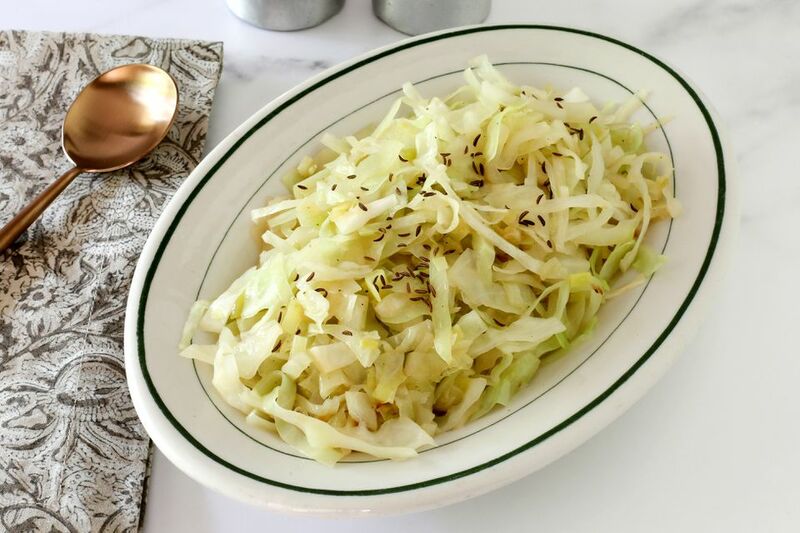 Drizzle the boiled cabbage with pepper vinegar sauce or simply add butter. You might want to prepare this one so that you can tell people about the whimsical name. Scottish rumbledethumps is a combination of leftover mashed potatoes, rutabagas, and cabbage. Some grated cheese makes it hearty enough to serve as a main dish. Vinegar and a few basic seasonings flavor this easy skillet cabbage dish. Serve the cabbage with a ham dinner, pork chops, or a beef roast. The dish is a quick preparation, too; you'll have it on the table within 30 minutes! Mashed potatoes, cabbage, and cheddar cheese get together to make up the filling for these crispy colcannon baked potato skins. Serve the potato skins as a side dish or snack. A little mustard adds zing to this delicious cheddar cabbage casserole. Serve this flavorful cabbage casserole as part of a family meal or add it to your holiday dinner menu. Add Parmesan cheese to the buttered breadcrumb topping for more taste and texture. This casserole is an excellent way to enjoy cabbage. Kale and cabbage team up in this colorful salad. The Dijon mustard dressing is lighter than the typical cabbage salad with mayonnaise dressing, and the salad is quite versatile. Add some chopped toasted pecans or almonds, or add bacon to the cabbage and kale mixture. All you need for this braised cabbage is some butter and a head of cabbage. Season it with some sea salt, and you have a fabulous side dish that is nearly effortless. This exciting Dutch coleslaw includes a tasty mayonnaise and mustard dressing. The salad contains leeks, red and green cabbage, carrots, and sprouts. This beer braised cabbage will be an instant hit! It's made with only four main ingredients: cabbage, beer, onions, and bacon. Add this dish to your St. Patrick's Day bash. Nutritious and attractive red cabbage is delicious with a little bacon, tart Granny Smith apples, optional caraway seeds, and seasonings. You can use turkey bacon to keep the dish low in fat. If you are cooking for children or people who cannot tolerate alcohol, you can replace the red wine with apple juice or stock. This easy recipe teams cabbage with stewed tomatoes and onions for a delicious and fuss-free slow cooker side dish. It couldn't get any easier than this. The dish adds color to your plate as well as essential nutrients when you serve it with meat or chicken. This spicy pickled cabbage is a kimchi-like blend of cabbage, scallions, garlic, ginger, and chili pepper. Add cabbage relish to stir-fries, rice or noodle dishes, and egg dishes. Or serve it as a condiment.